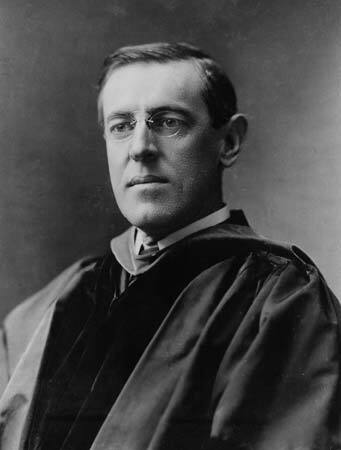 Woodrow Wilson’s academic writings are foundational reading for students and scholars of public administration. Woodrow Wilson’s love letters may not have the renown of his theoretical analysis on the politics-administration dichotomy, but the quality and depth of his words are an insightful and uplifting reading experience. For those of us seeking a break from the rigorous realities of public administration journal articles and books, the letters, from the emerging leader in the study and practice of this field, to his partner are a window into the life and love of one of public administration’s best known individuals. The letters included in The Priceless Gift, collected and edited by his daughter, Elinor Wilson McAdoo, are a story of the challenges of managing a burgeoning career with a fulfilling personal life. While we may not understand the pressures of a world leader developing a governance plan for a society that just witnessed the brutal conflict of the First World War, this intimate portrait of a graduate student, professor and administrator in his personal life can resonate with a 21st century audience. History is perhaps much more familiar with his second wife, Edith Bolling Galt Wilson, whom President Wilson met while in the nation’s highest office. The second Mrs. Wilson’s active role running the executive branch in the last years of his presidency was a motivation for the 25th Amendment to the Constitution’s procedures on limiting the authority of an incapacitated president. It is the courtship of and eventual marriage to his first wife, the future Ellen Axson Wilson that would be most familiar to those of us not reckoning with the daily challenge of running the country. The letters show a different historical era for communications. The formality of Ellen’s acceptance of Woodrow’s effort to ask her out on a date is striking, “Mr. Wilson, I have no engagement this afternoon and it will afford me please to take the drive. I will be ready at the appointed hour. Very Sincerely, Ellen L. Axson.” We can only imagine how future generations will view our courtship through text messaging. These letters also show the decision making processes by which the Wilsons mapped Woodrow’s career and their lives together. The future president of Princeton University, president of the United States, and Nobel Laureate was not as flush with academic offers as one might expect. He also faced the common struggle of balancing career and family responsibilities. Fortunately, no matter how one perceives them, the legacy of these letters is not lost to history, as the likes of New York Times columnist Maureen Dowd has shared insights related to them. Although the letters are not required reading in public administration programs, they are a worthwhile look into the career of one of the early leaders of the discipline. There are certainly areas of President Wilson’s legacy that are less than stellar, particularly related to his position on civil rights. The letters do not serve as a model for how to live life as scholars and practitioners of the public service. They are, simply, an interesting read and a view into life, love and the pursuit of happiness of someone who was one of us: a scholar and governmental employee pursuing an ambitious public, academic or not-for-profit sector career. At the Woodrow Wilson House in Washington, DC (where I work), we display many personal and professional artifacts and mementos from President Wilson’s life, including a “Madonna and Child” painting executed by his wife Ellen who was an accomplished artist. History is a reflection of life and is equally rich and complex. Excellent Article–I have a special affinity for Wilson especially since my daughter is graduate of Bryn Mawr College. Excellent Article–I have a special affinity for Wilson especially since my daughter is a graduate of Bryn Mawr College.